Product #1091 | SKU 3I0907-4B-01 | 0.0 (no ratings yet) Thanks for your rating! 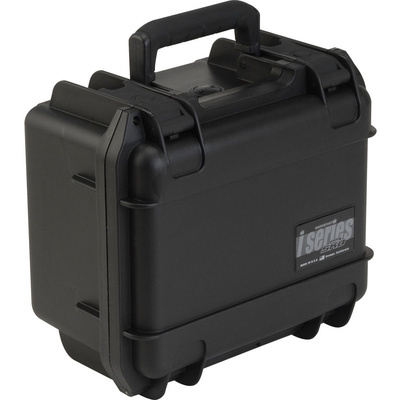 The Custom Fit iSeries Waterproof Case for Zoom H4N from SKB provides stellar protection for an item that is rapidly gaining popularity in the independent video production market. The case is waterproof and dust resistant and is made from an ultra high-strength polypropylene copolymer resin. The material is resistant to corrosion and impact damage. The foam insert has cutouts for the H4N itself, along with provisions for the power adapter, windscreen and a memory card. A unique feature is an automatic ambient pressure equalisation valve that relieves any pressure build up that could occur inside the case due to ambient conditions. The case is perfect for those needing the ultimate in protection for their portable recorder.